Whenever I read psychology books, I am wary of putting in the effort only to just waste my time. For every quality data-driven and well-argued psychology book, there are possibly ten other failures that pander to the latest psychological trend. Whether they fail from poor data analysis or simply rehash known issues, junk psychology books line the shelves of used book stores and perpetually spread bad information. Paul Bloom's How Pleasure Works falls somewhere in the middle. Bloom's work lacked specific citations for the data and ideas he presented in the text, making it difficult to verify the exact information that was used from his sources. Instead of these citations, Bloom offered a notes section where he linked sources with page numbers. This became a problem when I tried to find out where Bloom obtained his information about Aztec cannibalism. What I have found in my studies on indigenous people is that many people make claims about native people without having any quality scholarship to back it up. Instead, most people rely on myths about indigenous people to bolster their claims, further perpetuating indigenous oppression. Bloom's information about Aztec cannibalism came from a 1985 book written by anthropologist Marvin Harris called Good to Eat: Riddles of Food and Culture. While Harris is certainly not an expert in indigenous studies, he is a staunch supporter of the assertion that Aztecs were cannibals. Bloom failed to mention that there is much controversy regarding this particular subject, making Bloom the latest contributor to stereotypes that define Aztecs only in a cannibalistic context. 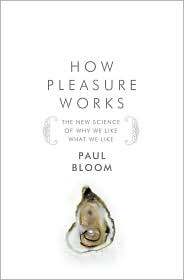 This is unfortunate because Bloom's book is all about looking at contexts to explain why we take pleasure in the things we do. Bloom often concluded that our pleasures are constructed using a mixture of biological development, culture, and personal experience. This mixture makes us give objects essences they do not really have. 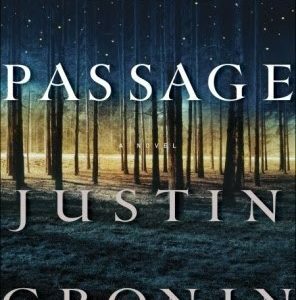 In our society today, we need more books like this that provide an alternative to dichotomous thinking. However, if these books rely on oppressive stereotypes to help make its case, it's not worth the effort.